The investigation of Old Soaker continues to go well, so we're planning to drive away on Sol 1571. 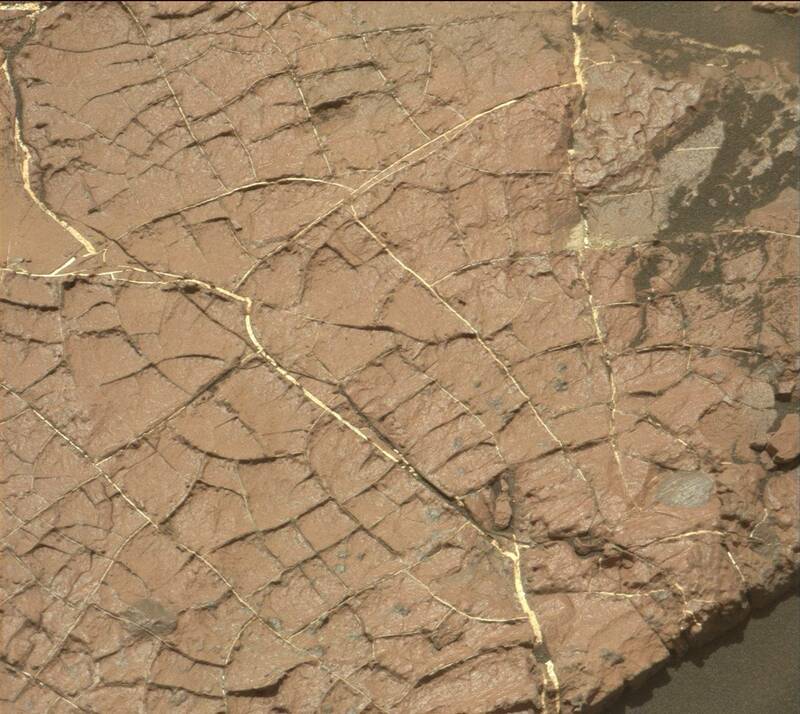 But first, ChemCam and Right Mastcam will observe darker bedrock patches named "Gilley Field" and "Fresh Meadow" and a dark clast called "North Bubble." Mastcam will also acquire a multispectral set of images of a dark spherule dubbed "Greening Island" before the drive. After the drive, the arm will be unstowed to allow Navcam and Left Mastcam to take pictures of the area in front of the rover to aid planning for this weekend. Navcam will search for dust devils and clouds, then the rover will sleep overnight and recharge her batteries.